Why does the groom arrive first and the bride wear a veil? Where did the idea of having a best man, a flower girl and other attendants come from? What things are believed to bring good luck on a wedding day and which things were once thought to bring misfortune to couples? Think you know the answers to these questions? Well, now, you can put your knowledge of wedding traditions to the test and prove once and for all that you're the ultimate matrimony expert with The Wedding Traditions Quiz! 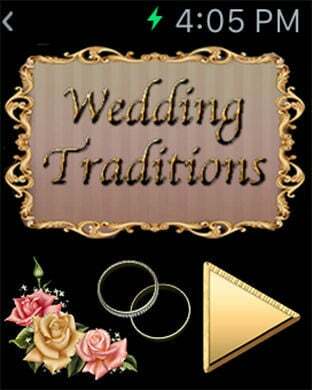 Available to play on the iPad, Apple Watch and smartphones, The Wedding Traditions Game is a fun, informative activity with 50 challenging questions related to modern day wedding traditions. Answer questions correctly to earn achievements and share your scores with your friends with just a click. The Wedding Traditions Game is a fun activity for bridal showers, hen's parties and other pre-wedding celebrations and is fun and easy for people of all ages to play. The game is also popular among brides-to-be who can learn about various traditions that they may want to incorporate into their own wedding celebrations. Whether you play alone or with friends, The Wedding Traditions Game is sure to teach you a few new things about why we do what we do on the day that we say, "I do!" 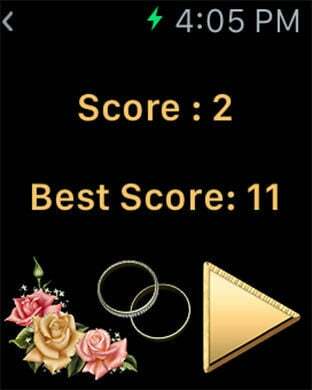 Download the game now and put your knowledge of wedding traditions to the ultimate test. - Earn Pearl, Sapphire, Ruby, Emerald and Diamond Gems for achievements. Gain the ultimate Achievement, a wedding ring!